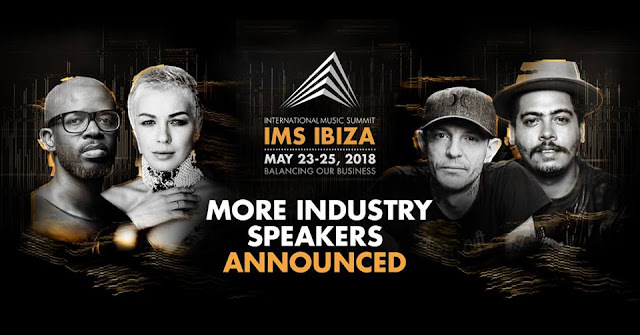 International Music Summit (IMS), the three-day inspirational, educational and motivational thought-leadership platform held annually in Ibiza, present a further curated collection of summit speakers. 23 global artists and industry heavy-weights will bring further insight to the debate, covering every aspect of the diverse and ever-changing electronic music landscape. The new speakers now add to an unmissable roster totalling over 93 impressive voices from around the globe. House music legend Todd "The God" Terry (Artist, USA) will appear at IMS Ibiza for the first time for a Keynote Interview about his life and career in dance music, including his early years in New York. The ground breaking anti-sexual assault and women’s empowerment movements #MeToo and Time’s Up has elevated global consciousness surrounding the obstacles women encounter in their daily lives, both personal and professional. Honey Dijon (Artist, USA) joins the discussion Sexual Harassment in DJ Culture, an open and frank conversation about the realities of this issue in our industry and what we can all do to tackle it. The modern workplace is no longer restricted to a singular localised office position and this is especially true in the entertainment industry. Facebook & elrow: How Workplace by Facebook Transforms Communication will provide a unique case study into contemporary workflow management from the viewpoints of Vicenc Marti (elrow, President and Board Member, Spain) and Julien Lesaicherre (Workplace by Facebook, Director EMEA, UK). Despite zero-tolerance policies, illegal substances inevitably make their way into electronic music events. In Is Drug Testing The Solution? non-profit organisation The Loop will examine the benefits of harm reduction services at music events and present recent findings of confidential drug testing at UK festivals and the impact of this service on attendee welfare. Joining the discussion will be leading event professionals Freddie Fellowes (Secret Garden Party, Promoter, UK) and Jon Drape (Broadwick Live, Group Production Director, UK) and artist B.Traits (Artist, Canada), who will confront the subject head on and provide new insight into a much debated initiative. Help Musicians UK commissioned research revealed that music professionals are three times more likely to have mental health challenges, this research led to the development of Music Minds Matter, a 24/7 dedicated music industry support line. Representing the charity will be Christine Brown (Help Musicians UK, Director of External Affairs & Business Development, UK) who brings her experience to DJS COMPLAINING OR REAL PROBLEMS? a frank and open mental health discussion hosted by the Association for Electronic Music, which will give vital advice on how to stay sane in the game and remain successful. In the Digital Debate, Alexander Holland (Deezer, Chief Content and Product Officer, France) Katy Ellis (Anglo Management, Manager, UK), Kurosh Nasseri (AFEM/Nasseric Inc, Founder/Attorney, USA) and Matthew Adell (Native Instruments, Chief Digital Officer, USA) will join the discussion and examine the ever-shifting landscape of digital music consumption. Rui Da Silva (Artist, Portugal) joins the Blockchain 101, providing an artist perspective on this exciting and complex technology. Emerging Party Destinations now has additional input from BLOND:ISH (Vivie-Ann Bakos, Artist, Canada) who will share some of the new and surprising destinations that feature on their touring schedule. Jay Jay Revlon (DJ, Host and Cultural Events Curator, UK), Marina Blake (Brainchild Festival, Creative Director, UK) and Martha Pazienti Caidan (Resident Advisor, DJ/Producer/Radio Presenter, UK) join the emerging trailblazers and innovators in our industry on Mixmag's 5 Under 25. In addition, Nick DeCosemo (Mixmag, Global Editorial Director, USA) will join the summit and lead insightful interviews with Team Black Coffee and Bradley Gunn Raver. IMS Ibiza delegates are invited to submit demos to the Toolroom A&R team and receive live feedback from Mark Knight (Artist, UK) and Matt Smallwood (Toolroom Records, A&R Manager, UK), giving invaluable advice on how to get your record signed. Point Blank Presents: Andrea Oliva - DJ Skills Masterclass brings an artist at the peak of his career to the summit in an informal workshop setting. In conversation with Declan McGlynn (Point Blank, Music Tech Journalist, UK) the Ants resident will give insight into his approach to performing to a live crowd. Berklee College of Music return to IMS Ibiza for the second year, with a workshop entitled Realtime Video Synthesis, a must for all audio-visual enthusiasts and innovators. Led by Pierce Warnecke (Berklee College of Music, Valencia Campus, Assistant Professor of Music, Production, Technology and Innovation, USA) the session will explain a simple but effective approach to designing abstract geometric visuals for live performance.